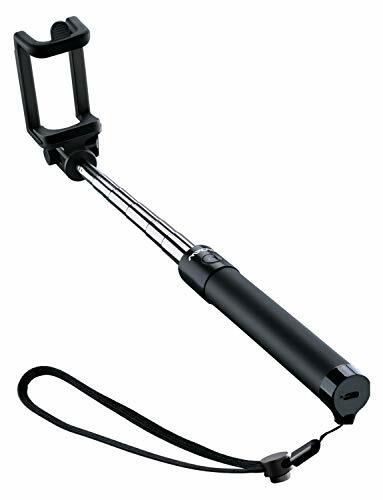 JETWEB Selfie Stick is a stylish Bluetooth version of the fill light self-timer. 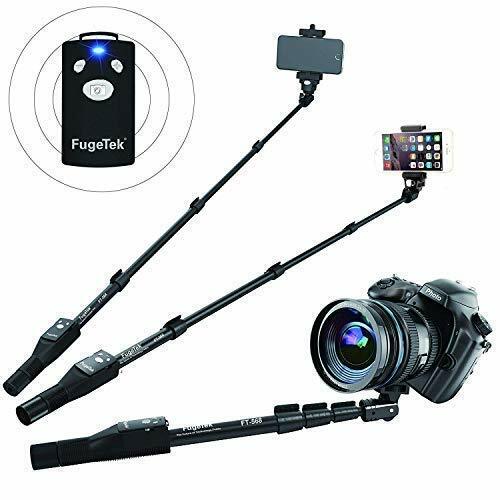 Using mobile phone wireless Bluetooth connection, you can easily control the phone camera/camera with one-button, no charge needed. 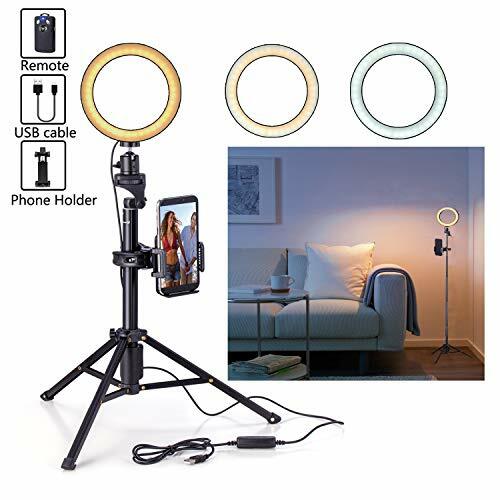 Also It\'s simple to install and carry around within fill light magnetic combination, just one-click compatible with iOS and Android device photography (automatic identification system). Compatible devices: IOS 9.2 or above, Android 4.4. DESIGNED BY THE TOP DESIGNERS IN THE INDUSTRY The Product structure adopts a one-piece integrated storage design. 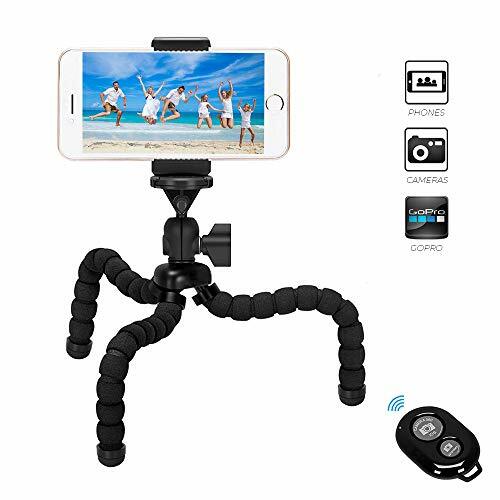 It can collapse down to the size of a small magic wand (5 inches); When you expand the product, it becomes the lightest, most exquisite, and stylish detachable Bluetooth tripod selfie stick on the market, you can place it practically anywhere you want. 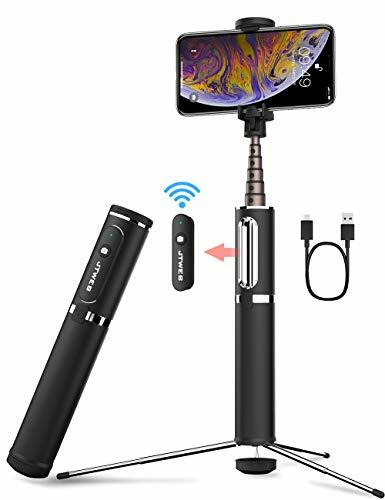 BLUETOOTH CONTROL AND UNIVERSAL FIT The traditional hand holding of the selfie stick allows for you to take photos with more poses, more easily; Fits most phones running iOS 7.0 or Android 5.0 and above, compatible with most mobile phones on the market. No need to download an extra app as it fully integrates with the phone\'s operating system. LONG BATTERY LIFE FOR 10000+ SELFIES* 65 mAh battery inside, 20-25 hours shooting time (or approximately 10,000 selfies). 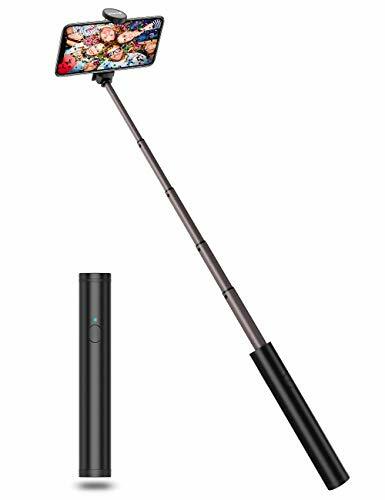 Place the selfie stick in standby and the battery can last for more than 30 days. Includes 2 batteries inside, one in the product, another as an extra in the package. Please note for best performance it is advised to change the battery after a month to ensure you have an adequate battery charge to capture your picture perfect moments whenever the time arises. 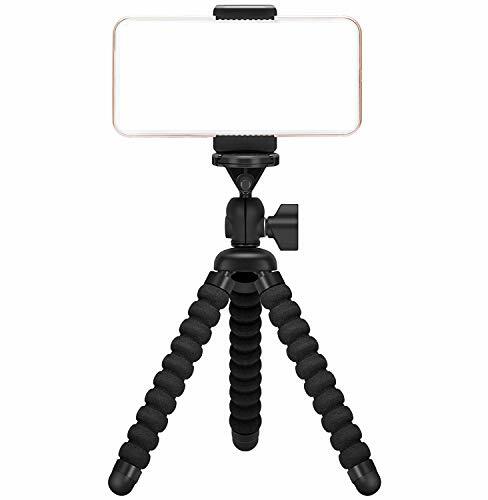 JTWEB Selfie Stick is a tripod with a hidden mobile phone clamp. 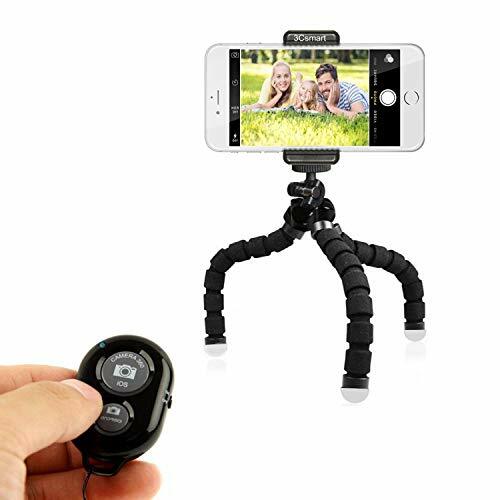 This Bluetooth version has included remote control self-timer. 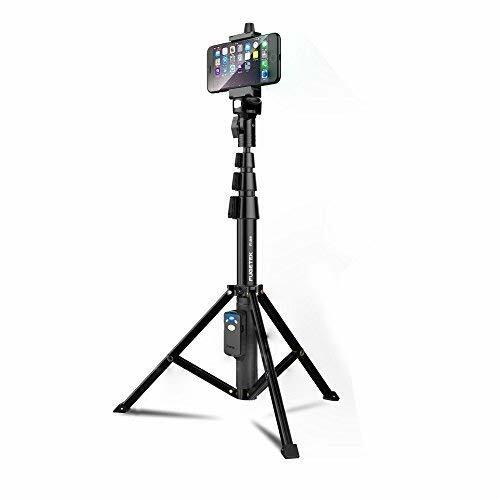 The overall appearance is a simple cylindrical shape for telescoping storage of the tripod and mobile phone clamping part. 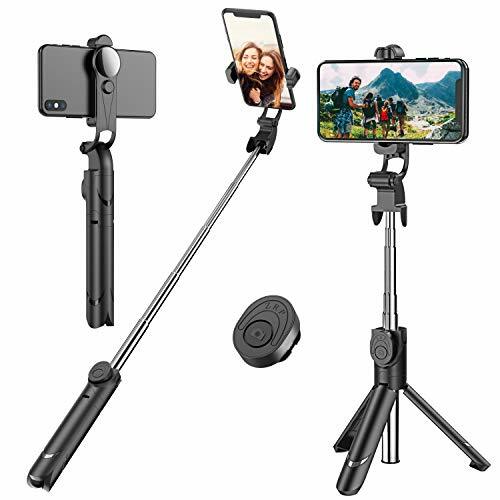 These features empower customers to conveniently carry the tripod selfie stick anywhere they go! 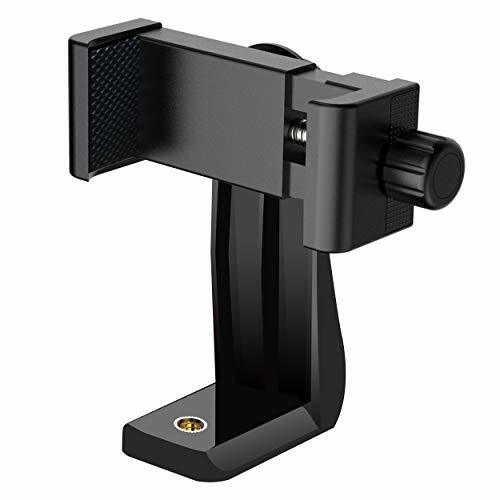 The sleek design of the body is constructed using a high-quality aluminum alloy with an anodized surface, allowing the purchaser to have an incredible user experience. 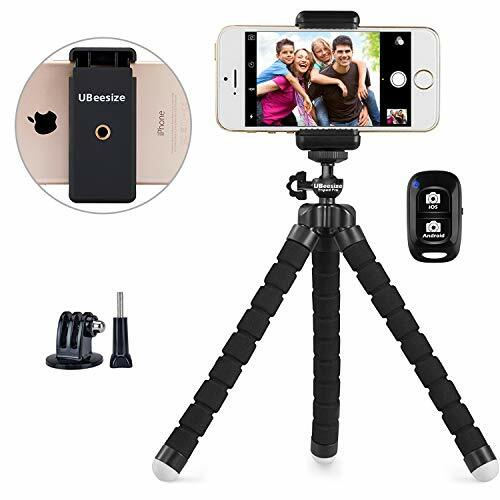 Users can easily clamp their phone to the tripod selfie stick and control the phone\'s camera to take a photo using a Bluetooth connection on the phone. (No headphone jack required). 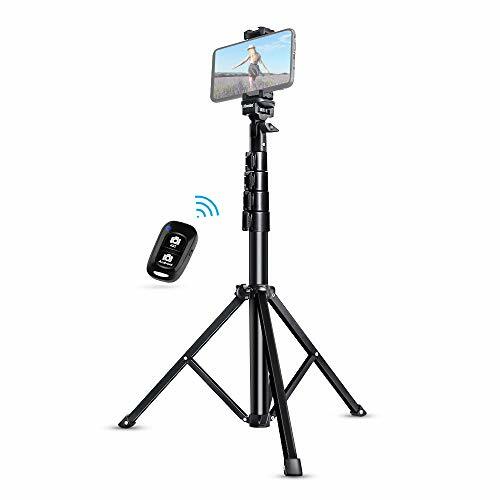 LONG RANGE BLUETOOTH CONTROL AND UNIVERSAL PHONE FIT DESIGN Bluetooth control distance is up to 33-55 FT. This makes it perfect for mobile phones with IOS 9.2 or above, or Android 4.0 or above, with no extra app install required. 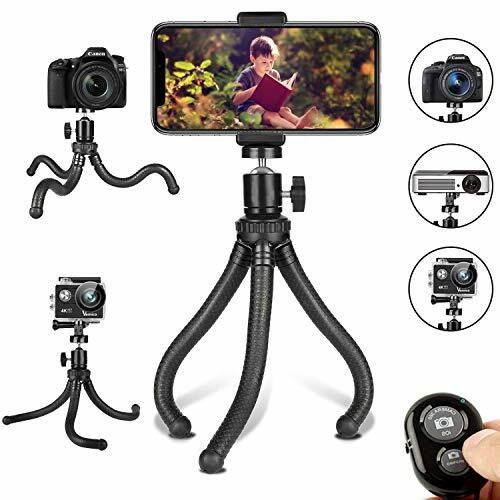 The mounting clip expands from 2.28 to 3.38 inch, and utilizes anti-slip soft rubber technology designed to effectively protect your mobile phone from scratchs and slipping. 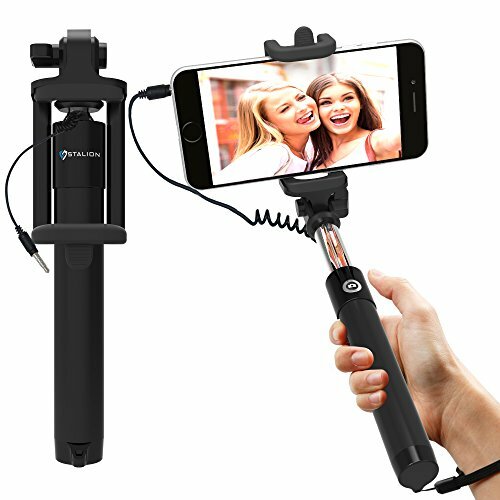 DESIGNED BY TOP DESIGNERS ON THE MARKET This selfie stick structure adopts a one-piece integrated storage design. 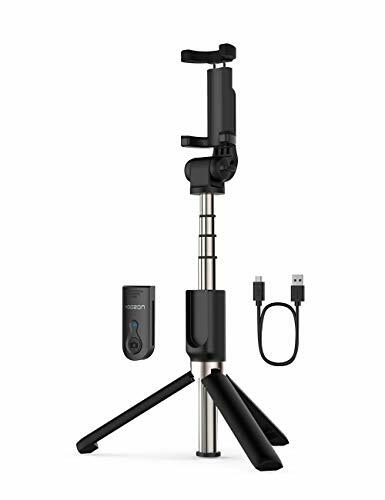 The tripod has a hidden retractable design with separate Bluetooth remote for selfies. 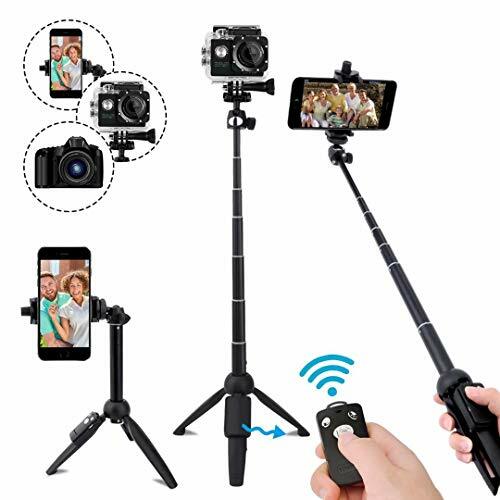 The tripod collapses for storage to a size of a small magic wand (7.79 inches); When opened and stood up, the tripod is the smallest, most exquisite, and stylish Bluetooth tripod selfie stick on the market, you can place it anywhere you want in order to capture your picture perfect moments. 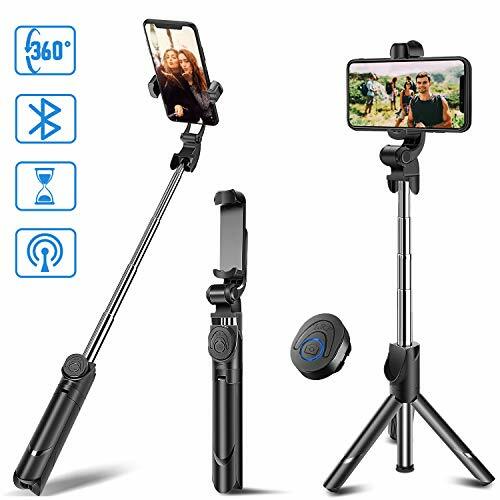 Bluetooth Selfie Stick with Tripod Stand 2 in 1 selfie stick with detachable wireless remote and integrated with tripod, allows you perfectly to take selfie-photography within a 33ft distance. 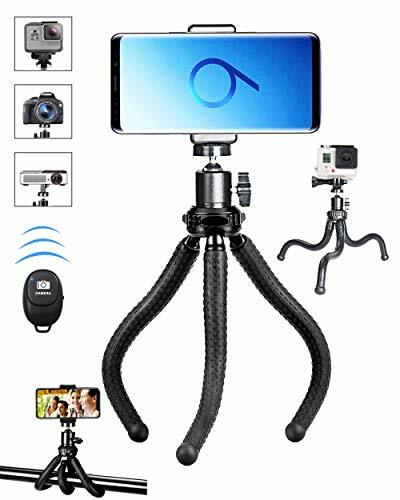 Or you can use it for different situations like selfie, group photos or shoot video at travel, party, graduation, wedding, facetime, travel etc. 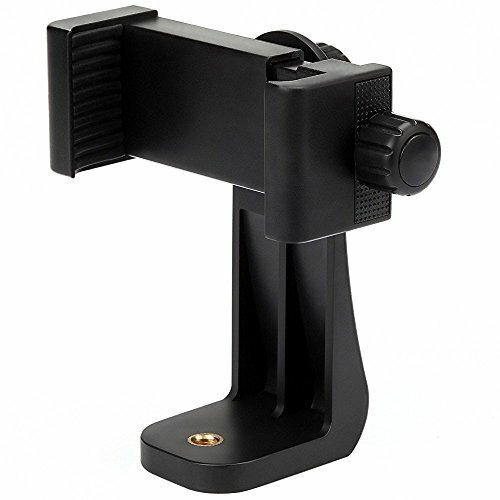 Easy to Use and Set up Long press the remote shutter for 3 seconds, it will enter into pairing mode and flash blue LED indicator. Turn on your phone Bluetooth and search the devices around. Select the device of XIONGTU from the list and paring will be finished automatically in few seconds. 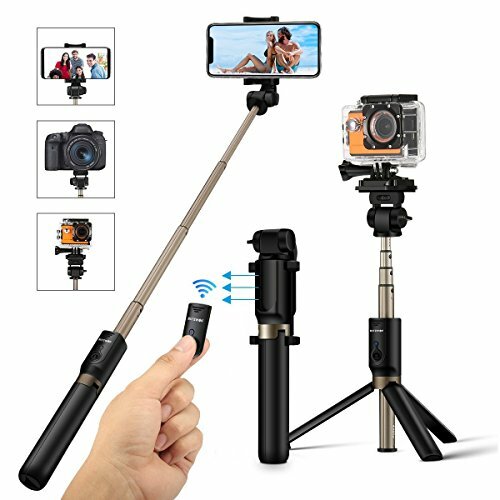 Freely Rotate and Extend Selfie Stick 225 rotation head with an adjustable knob +360 rotatable phone holder, allows you to take vertical and horizontal photos and get the best selfie angle; With lightweight and foldable length(7.28''to 27.2''), easy to carry by putting in your pocket or your bag. 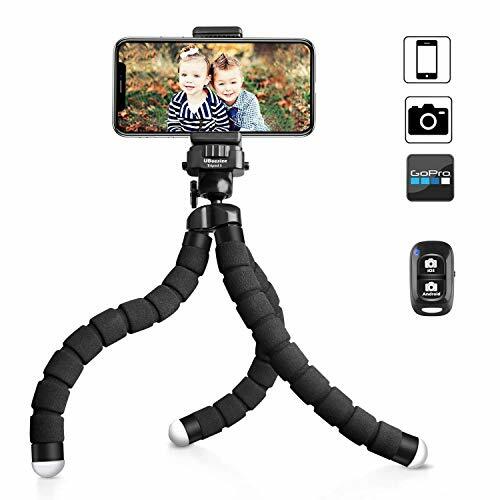 Wide Compatibility for Most Smartphones The selfie stick tripod is perfectly compatible with most smart phones in market like iPhone XS/XR/X/iPhone 8/8 Plus/iPhone 7/7 Plus/iPhone 6 Plus Android Samsung Galaxy S9/S9 Plus/S8/S8 Plus/S7/Note 8, Google, Huawei and more. 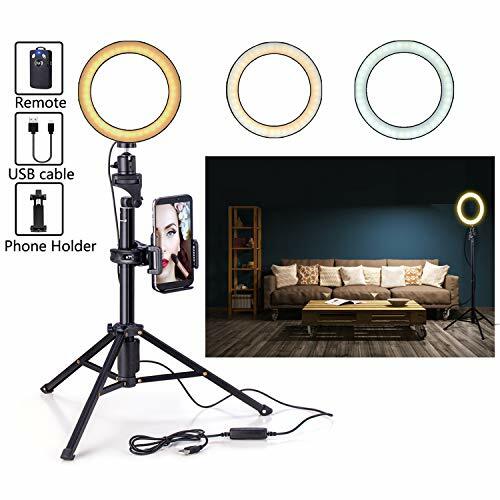 Buy it at No Risk We provides 30 days money back unconditionally refund or resend with any quality problems, 18-month warranty and 24 hours quick reply only offered by MZTDYTL. Any problem we will try our best to assist you. 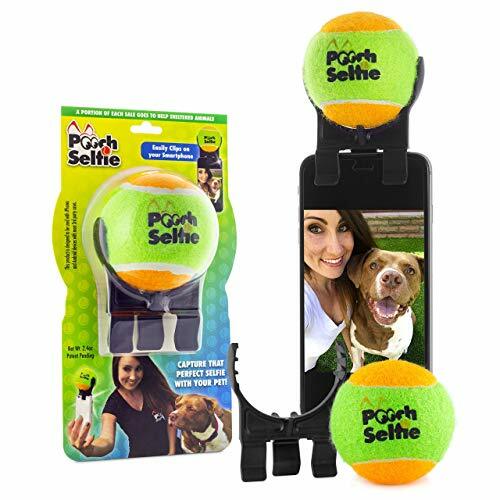 Just Enjoy a great selfie experience from now on!